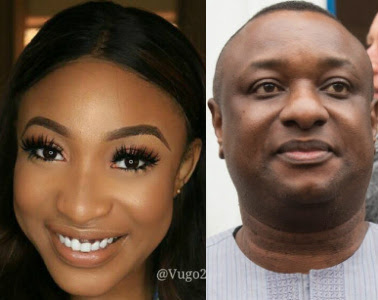 Human Rights Lawyer, Festus Keyamo Chamber has raised the alarm over imminent release of edited video on Nollywood actress, Tonto Dikeh by her estrange husband, Olakunle Churchill portraying her as being involved in domestic violence against him. A statement from the chamber issued by Okechukwu Uju-azorji, warned bloggers and journalists not to use any edited video on Tonto Dikeh or faced being sued. “It has come to our knowledge that her ex-husband, Mr. Olakunle Churchill has perfected plans to release a short and edited video depicting and portraying our client as being involved in some domestic violence against him. “Our client wants all bloggers and/or journalists to request for the full version of the video showing the said domestic scene which started with a physical abuse of our client by her ex-husband, which earned her a swollen face. Her ex-husband only intends to release our client’s reaction to the assault on her and not the assault itself. “We shall be prepared to take legal action against any blogger/journalist that uses the edited version without insisting on or showing the full version,” the statement said. See wahala. From honey to sweetie to sugar to elegant wedding and now to bitterness to acrimony and now to lawsuit. All under two years or so of marriage. This is what happens when you marry for the wrong reason. WOW..PRE WEDDING SHOTS AND VIDEOS ARE NOW TRENDING ON SOCIAL MEDIA AND SO AS LAWSUITS WILL TREND WHEN EVERYTHING TOUR SOUR.COURTSHIP IS GONE AND NO OTHER COMPATIBILTY TESTS COULD SAVE THE DAY.GO FOR YOUR HEART AND NOT FOR THE FAME BECAUSE THE END GAME WILL ALWAYS END IN SHAME.TONTO,GET READY.THE MAN WILL HIRE TONS OF LAWYERS JUST LIKE SARAKI DID MONTHS AGO AND OBJ BEING THE UNCLE WILL FULLY BACK HIM UP BIGTIME.BETTER DONT WASTE YOUR MONEY COS FEYAMO WONT DO MUCH. fake lawyer Keyamo has lost his stand. Why is he taking Tonto Dikeh seriously. washing dirty linen in public a big shame,marriage with infidelity life style among d couple can collape anytime. I hope you and your estranged husband will not come out tomorrow and tell us all was staged to draw attention or whatever cos you guys are still into each other…nollywood people,una drama too much. My pity only goes to that innocent little boy..may God protect him from all these una nonsense show of shame.